Ideal for changeable temperatures, the Blackline softshell jacket is also water repellent and designed for active cyclists. The cut is based on a slightly stretched riding position. 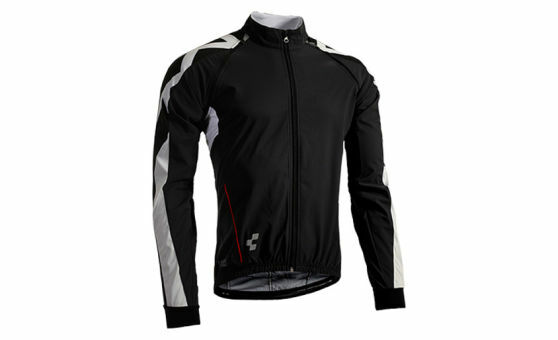 With thin but functional material, you can wear the softshell even on longer rides. You have front and back pockets with zippers for all the small gadgets. The cuffs are very elastic with a thumb holes.